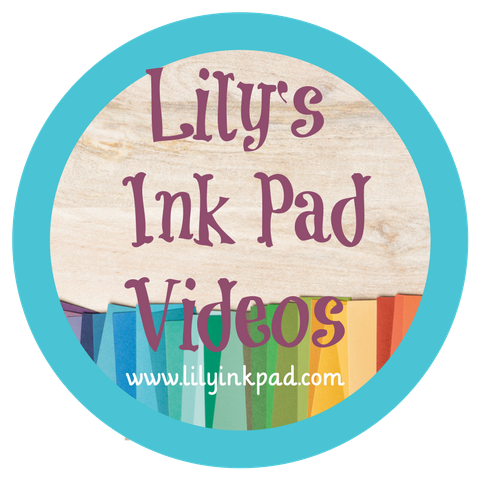 Want to get some cards started for the new year? 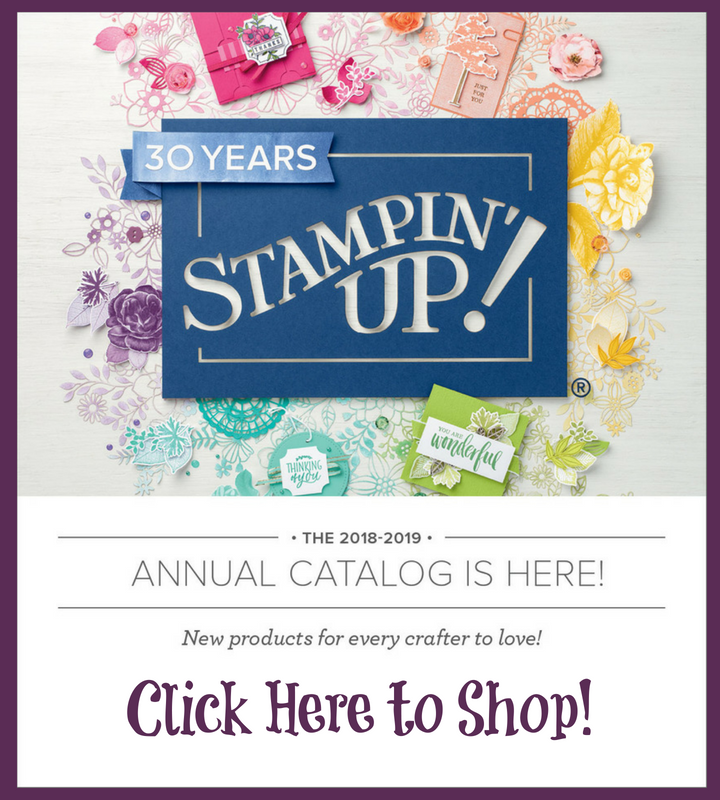 Join me in one last goodbye to the Retiring Stamps! All projects will feature one set that's leaving us. 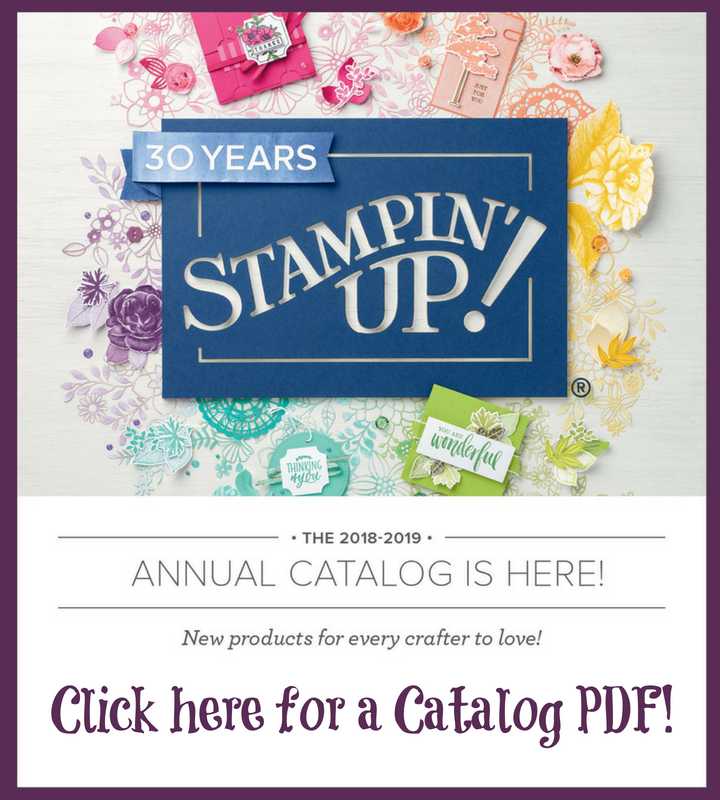 Plus, get a sneak peak on new catalog items! 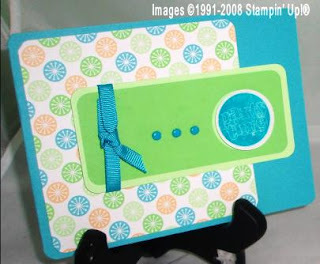 You'll create 12 cards for $15, 3 each of 4 designs. 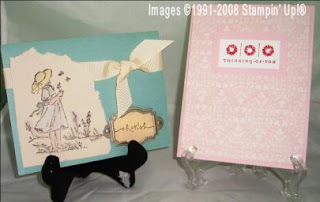 Card themes will cover those all-occasion moments! Register by January 16th. 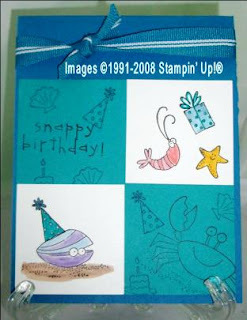 Saturday, January 17, 2009 My House in Neenah 12-4 pm (Stop by for 2 hours of stamping, when it works for you!) Here's a sneak peak of the card designs: This is my favorite. I love this paper, color combination, and the layout is all me~! These two are in honor of my sister, who loves this style! Does this look familiar? I did change my original design meant for the New Year's Eve Challenges! Hi Sara! Happy New Year! I love the "Summer by the Sea" card! I don't know if that's the correct name of the set but I have always wanted it. I guess if it's not too late I should order it. It's a very soft card and I can almost feel the sea breeze when I look at it. TFS! Nice set of cards! something for everyone! Happy New Year Sara! Sorry I've been gone so long, I've been crazy busy and am still that way. We are in the middle of inventory at the store where I work. Hope you retireing party goes great, I love the cards you are going to make. I've got pictures to post, but it might be a couple of days. Take care. You have been busy lately! Sorry havnt been around. Great cards by the way!!! Wishing you all the best for the New Year!! !